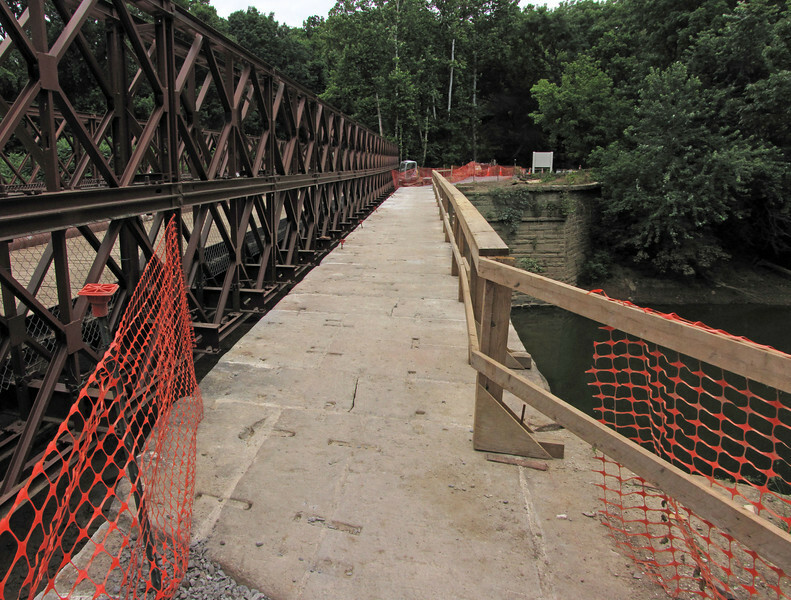 6/25/2011 The towpath parapet coping stones are all original stones the mules once walked on. Towpath Coping Stones covered the top of the aqueduct parapet wall (capped the wall) to give it a finished appearance. Typically, the coping stones overhang the parapet walls to provide a drip for rain. On C&O Canal aqueducts, the coping also served as the towpath.